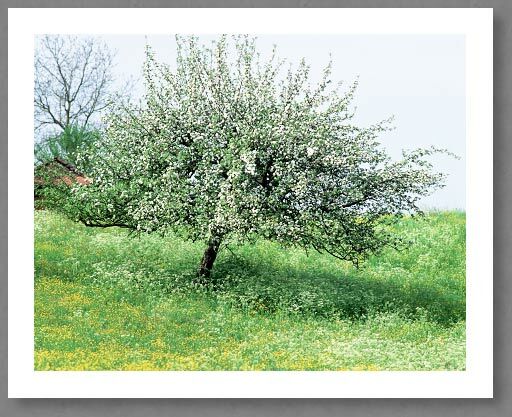 To find an isolated, unpruned apple tree in an ungrazed blooming meadow is rather uncommon, and it was my chance! I am thankful to the farmers who tolerate such unproductive but beautiful trees in their grazings. Some farmers plant a tree on the top of each hill, and contribute this way to giving a poetic touch to the landscape.